Before it even began, I knew that today would be one of the most difficult days of my life. One year ago today my mother lost her courageous battle against breast cancer. She was way too young to go and truly undeserving of her cruel fate. On the Jewish holiday Passover the youngest person present is supposed to ask his older and wiser dining companions “Why is this night different from all other nights?” The answer, though seemingly obvious, is explained so that all those present can understand. It’s not just any day, but a day with significance and history behind it and we must remember it as such and keep telling the tale year after year lest we forget it. As I’ve been watching the calendar inch closer and closer I knew that I was anxiously awaiting today but didn’t know exactly why, again besides the obvious reason, this day would be different from all other days. So I sat down to speak to my older and wiser friend Steve, who had unfortunately lost his father many years ago. Steve’s father passed away years before we ever met, but over the course of our friendship I feel as though I’ve come to know his father through the stories, anecdotes and lessons that Steve has shared with me. Those words of wisdom will live on, as will Steve’s father’s legacy, to be passed down from generation to generation in his family. One thing that some of my friends who had lost parents told me over the past year is that “the first everything will be the hardest”. Meaning the first Mother’s Day, birthday, Thanksgiving and every other occasion that we normally commemorate would be extra difficult emotionally. And my friends were 100% right. Those days were all terribly difficult without my mother to share them with for the first time. Even though we lived across the country from each other and didn’t always celebrate in person, we still had ways to share these events across the miles. Just as I had my firsts, there were several firsts that my mother missed over the last year. As she passed away just a couple days before my son turned 14 months, she missed his first haircut. And his first steps. And his first words. She also missed reading my blog, which she had encouraged me to write. I started writing again a few months after her passing. Even though she was gone, she continued to inspire me to try to better myself. In talking to Steve about what this day means and why I’m feeling the way I do, he summed it up perfectly. Now that I’ve made it past the first July 4th, Labor Day and, of course, Passover without my mother, the one year anniversary of her death is the “last first”. It is the culmination of a year of waiting for the phone to ring with her at the other end of the line, knowing that it unfortunately never will. Now that this year is over, my mission is to not only continue to remember my mother and her legacy, but also to make sure it lives on for future generations. Sadly, my son likely won’t remember his Grammy and her infectious laugh, penchant for black pants and affinity for the TV show “Cash Cab”. But he will see pictures & videos and hear myriad stories about her from his parents, aunts & uncles, cousins, Papa and all those who cared about this wonderful woman who was taken from us way too soon. I am so sorry for your loss. I lost my Mother when i was 7. I sometimes feel that my youth was a blessing and a curse at the same time. A blessing because my innocents shielded me from the pain my older siblings, father, and relatives felt. Yet a curse for losing my nurturing parent at such a young age. I can't imagine losing a parent now at the age we are. I know that you are someone who is and always been surrounded by love, respect and good people through and through. Their strength and your memories will keep her legacy alive and well. These days will get easier. I have always tried to celebrate my mothers life rather than mourn it. Cherish the time you had and remember that your mom will always be with you. "A box of rain will ease the pain, and love will see you through." Sitting here with tears in my eyes. Well said my friend. I can only imagine how this has all felt Jay - your comments about firsts particularly was moving and was very real to me. Your mom would be so proud of you for so many reasons but not the least of which in my opinion is that you have taken what she taught you about being a parent, loving your child, helping them grow and so clearly made that part of who you are with your son. Thoughts are with you, Jay. Sorry for your loss. Holding you close today, pal. The power of this is beyond. I've shared it with a few of my friends who have recently lost their parents. Beautiful. We lost my mother in-law, who was also very young, 9 years ago on December 10th to breast cancer. The first year was very difficult. Our four children were all very young when she passed ages 7-18 months and we wanted to make sure they would always remember her. Every year on the anniversary of her passing we take the kids to her favorite restaurant, Olive Garden. It makes me smile and misty just to type those words. :) She would always pick Olive Garden over any place we presented to her and so that's where we go. Through the years this has been more difficult because the OG location nearest to us went out of business but we never miss a year. We always raise a glass to her, we share our stories of her, we celebrate her and her legacy. We also try to find a way as a family to help those less fortunate than us. Some years it has been by buying Christmas gifts for families in need. Other years we have challenged ourselves to perform random acts of kindness to strangers. She loved Christmas and the spirit of the holidays and it helps us feel closer to her as we do these things in her honor. I guess the point of this rambling comment is to let you know that it gets easier. In time, you'll find ways to help fill that void by doing things that honor the memory of your mother (actually, it sounds like you're already doing that) and to keep her alive in your heart. You'll feel her presence when you need it the most. Sending lots of love and healing your way. Your mom would have been so proud of you. Her legacy lives on through you and your whole beautiful family. God bless. Thank you all for your kind words and thoughts. It truly means a lot to me and helped me through a tough day. @Ammie, That is quite a tribute, especially with how hard it is to find an Olive Garden these days. My wife and I went to my mother's favorite LA eatery last night (Jerry's Deli) and got the chicken soup she always had while in town visiting us. I am so terribly sorry for your loss. You are right about the firsts, they are the most challenging. We lost Alex's mom 2 years ago tomorrow and being pregnant with our first kid breaks my heart beyond repair. Sharing the stories, pictures and videos of your mom with Becket will help keep the loving memory of her alive! Very sorry for your loss, Jay. I'm sure it will help other people going through the same thing. Unfortunately as we get older I keep hearing more and more bad news from friends. Dani, It isn't easy, but you two will do the best you can. Fortunately you have a lot of family around to help keep Alex's mother's memory alive for your little one. Nina, Thank you for your kind words. You never know when it will happen to you. I certainly didn't expect it when my mother told me just a couple days before my son's birth. I'm very glad you decided to share this post with us at lovelinks. Your mom raised a caring son and father. Thank you for providing this great outlet to get my post further into the blogosphere. Great "meeting" you! I'm so sorry for your loss. It must have been a difficult year. Keeping her memory alive for your son is a truly amazing gift - to yourself, your mother and your son. Stopping by from lovelinks. Thank you, Alison. It was harder than I ever imagined. I'm very lucky to have a strong support system and a great Little Dude to cheer me up. I'm glad you decided to share this post and that I got to read a son's love for his mother. You know it's so easy to think (as a mom-blogger) what a loss it is for a mom to lose her mother - I don't often get to read a son's perspective and this was a beautiful tribute to how much you miss her. Esp. that first haircut your son got - gulp. Also I loved that photo of the 3 of you, it's beautiful. Thank you. Having read about how you lost your mother, it's obvious that there isn't really a "good" way for it to happen. Thank you for your kind words. I am sorry for your loss. I only assume her voice still echoes in your head with each post. What a lovely tribute! This is such a lovely post. I'm sorry for the loss of your mother. 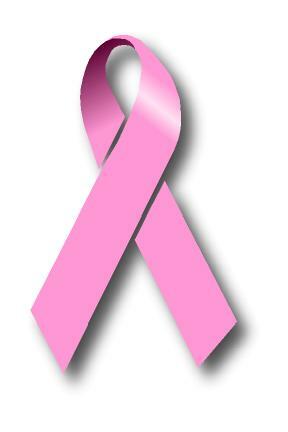 I lost a dear friend to breast cancer on July 15, 2007. I still think of her nearly every day and wish so much it hadn't happened (she was only 30). Take care. I have had some practice with grief the last couple of years...but I know nothing will prepare me for the death of my mom or dad someday. Thank you for sharing your experience. Thank you for linking up and sharing this. My mother is currently battling breast cancer and it has been a difficult time for the family. Just yesterday my sister and I registered for the 3-Day walk. We don't have any family or anyone particularly close to us that has suffered from this evil disease. But we will walk for women just like your Mother. And we will walk because we never know who we may know. Such a beautiful tribute to your mom. So many special women in my life have been taken by this evil disease. I am sorry that your mini will never meet his Grammy. Her love and light will live on through you and your ability to introduce her to the world. Beautiful post. Thank you for sharing your story, it sounds like your mother was some one very special. I'm so glad you wrote to remember that day. I can't imagine how hard all those firsts must be, yet I can perfectly understand why the last first would be so difficult. Sorry for your loss, and thank you for sharing your mother with us. I remember reading this and thinking what an amazing writer you are. Thank you for sharing your mom with us, and thank you for celebrating one year with Ado an I.
I'm so sorry for the loss of your mother. It sounds like you're handling it the right way with your kids. My husband's father died when my husband was 16, and his mother died almost two years ago when I was pregnant with our third. Even though they're not here with us, we want our kids to know them as well as they can, so we will always share stories and pictures of them. It's not the same, but it helps. Wonderful tribute to your mom. It is painful wanting to share all those firsts with her and not being able to. A good friend of mine passed away from pancreatic cancer when his granddaughter was only 3 years old. He told me what makes him sad the most is that he won't get to see her grow up and teach her how to drive. I am sure that you'll pass all those great memories on to BC, they are priceless. It's a beautiful tradition to ask the older generation for their wisdom and memories, and although I am so sad for you and the loss of your mother, I am touched by this tribute and how I am sure you will continue to pass on the memories of your family to your son. Jay: I'm so glad you chose this post as your favorite on the anniversary of your mom's passing. It is such a moving testimonial from a well-loved son to his mother - and I know she's right there with you as you wrote it because it is from the heart. Your friend Steve sounds like such a wise friend - his comment about "the firsts always hurt" but then - putting the one year anniversary into perspective for you by saying "it's the end of the firsts" - just - wow. He's a keeper. I think I said this before but I love that photo of you with your mom, and your baby. That's a treasure. I have just one or two photos of me with my mom like that and I treasure them more than anything. Oopsie one addendum - just realized doh, it's not the anniversary of your mom - that was back in January. Oopsie for that. I remember reading this post! It has been as moving this second time around. The 3-generation photo is so sweet...what a great memory to hold. This is really beautifully written and an incredible tribute to your mother. I'm so sorry for your loss. My father passed when I was 8 and that first year was super hard. Like you said, you go through each event as the first without that person until you get to the first anniversary. I didn't realize but I started doing it again when I had kids, thinking about their milestones and what my dad wouldn't have an opportunity to see. Thank you for sharing a bit of your mom with us. found you through " The Sphors ..." You write so well, keep updating your blog! Very touching piece. I agree, the firsts are all hard. The second year, over all, didn't bother me as much - but her birthday and the anniversary of her death, I don't know if those will ever be easy days. And the anticipation of the day may just be worse than the day itself. Wishing you much peace. Thank you for sending me over here.